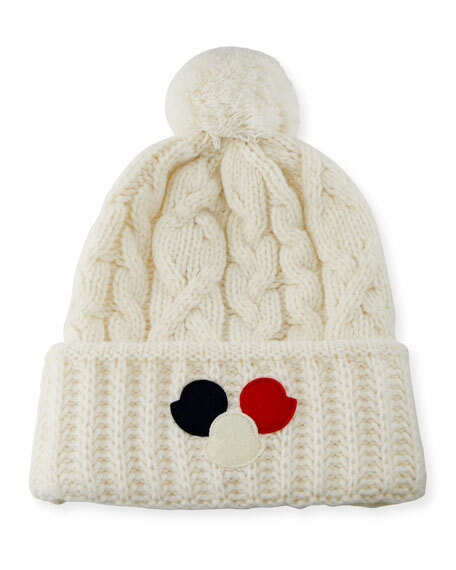 Moncler beanie hat in cable-knit with pom-pom. 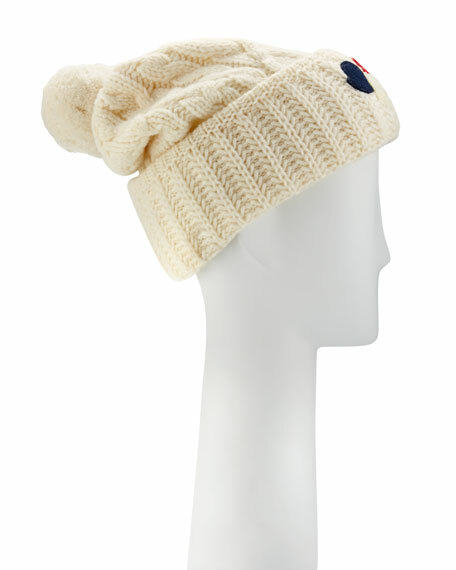 Fold-over band with tricolor dot appliqués. 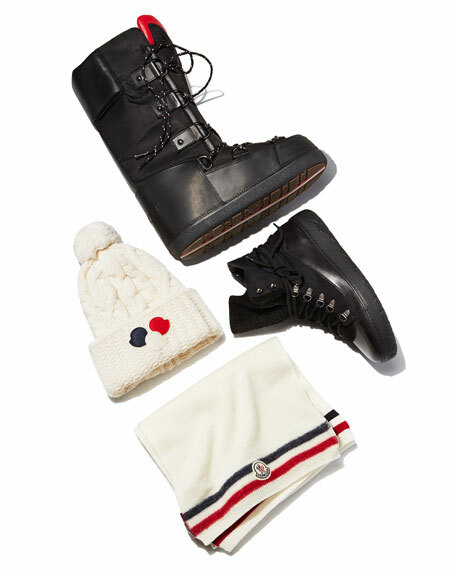 For in-store inquiries, use sku #1833690.